On Saturday 24th of June 2017, Soapbox Science will again transform Exeter into a hub of scientific learning and discussion, as some of Devon’s leading female scientists take to their soapboxes to showcase science to the general public. The event’s mission is the same as the original London event: to help eliminate gender inequality in science by raising the profile, and challenging the public’s view, of women and science. This event is free. If you’d like to see what Soapbox Science looks like in action, you can have a look at our Soapbox Science 2016 video, and photos from our 2015 and 2016 events. 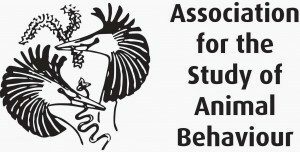 We would like to thank The Association for the Study of Animal Behaviour (ASAB) who have partnered with Soapbox Science to support speakers who will be talking about animal behaviour. The ASAB will be supporting Dr Cosima Porteus at the Exeter event.